Min.Order Quantity: 1 Set/Sets You can order as what you want. Supply Ability: 25 Set/Sets per Month We have the ability and the confident to satisfy you . Type: solvent extraction equipment Use: Used for extracting the oil from the vegetable seed Certification: ISO, BV.CE.. Refined High quality rice bran oil solvent extraction plant with ISO,BV,CE Specification and Type,Shea Butter Oil Extraction Machine, Shea Butter oil press machine,Shea Butter Oil Processing Machine,shea butter oil plant equipment. Shandong Leader Machinery Co.,Ltd. can supply you full sets of High quality rice bran oil solvent extraction plant with ISO,BV,CE with high-technology and eiciency.Shandong Leader Machinery Co.,Ltd. have rich experience for High quality rice bran oil solvent extraction plant with ISO,BV,CE in cooking oil plant installation,Shandong Leader Machinery Co.,Ltd. can support customer to set up small/mini High quality rice bran oil solvent extraction plant with ISO,BV,CE in China and overseas. The whole Edible Oil Making Factory contains four plants, they are Pretreatment Plant, Rice Bran Oil Extraction Plant, Rice Bran Oil Refining Plant and Rice Bran Oil Dewaxing Plant. Adopts the currently advanced process in the world, and domestic mature equipments. 1.Cleaning process: In order to obtain high effective cleaning, ensure good work condition and production stability, high efficient chaff rotary sifter was used in the process to seperate big and small impurity. Suction type gravity stoner removing machine was applied to remove the shoulder stone and earth, and magnetic separation equipment without power and exhaust system were used to remove iron. Dust removing wind net is installed. 2.Auger: During the process of rice bran hardening and tempering, not only can make the raw material uniformity, has certain toughness, change the original oil cent substructure to leaching, and can make leaching hair oil china-africa nonhydratable phospholipids content rarely, facilitate salad oil dephosphorization and physical refining. 3.Rice bran expansion: It can improve the efficiency of extraction for oil materials, decrease solvent, steam consumption and improve the quality of meal after extraction, th shaped particle can make it easy to extract. 4.Flat plate dryer: Apply to rice bran particle dry processing, can remove the moisture from rice bran in the grain, and make rice bran particles to met leaching process requirement, compared with other dryers, ithas compact structure, high efficency, drying uniform, big capacity, low energy consumption, material not broken, reliable operation, simple operation, and other features, it is an ideal drying equipment. 1.Solvent pumps: Continuously spray solvent to the rotary-typr extractor. 2.Roary extractor: Spray and soak the soybean cake with solvent so that oil fats can be dissolved in solvent(from miscella). After processing, you can get wet meal and miscella(mixed oil). 3.DTDC: Used to separate the solvent from the wet meal. 4.Miscella tank 1st: Pump the miscella(oil with solvent) into the miscella 1st, then add 10% saline water to it. The phospholipid and impurities in the miscella. 1.Degumming and deacidification: The gumming is moved by phosphoric acid and hot water. There are two ways to move the acid in the rice bran oil. One is chemical way, the other one is physical way. The chemical way is using NaOH to react with acid. This way is suitable for the capacity of 5-30T per day. The physical way is using steam and centrifugal to move the acid. This way is used for capacity from 30-2000T per day. 2.Decolorizaiton: This step is used to adjust the color of the oil. You can control the color of the rice bran oil according to the requirement of yur market. 3.Deodorization: The function of this step is to move the special smell in the oil. This is an important standard for refined rice bran oil. Dewax: Used to remove the wax in the oil, in order to get the high quality oil. Heat-transfer oil stove: Supply each device production needing heat energy, temperature reach above 280C. Steam generator: Produce the needing steam for de-odoring and distillation. vacuum pump: Supply needing vacuum for dehydrate, de-color, de-odor. Vacuum degree can reach above 755mm Hg. Press filter: Filter clay, filter out clear oil. Air compressor: Blow dry bleached clay, blow empty the leftover oil in the press filter. Shandong Leader Machinery Co.,Ltd. are one of the leading Manufacturers and Suppliers of High quality rice bran oil solvent extraction plant with ISO,BV,CE.Shandong Leader Machinery Co.,Ltd. manufacture High quality rice bran oil solvent extraction plant with ISO,BV,CE making machine using cutting-edge technology,Shandong Leader Machinery Co.,Ltd. 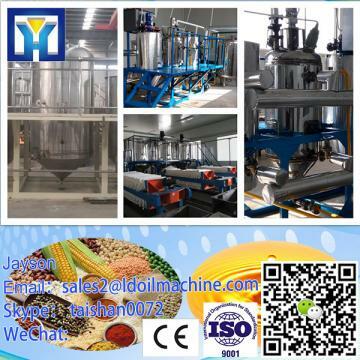 have many kinds of edible oil machine for you reference,such as Shea Butter Oil Plant Equipment,High quality rice bran oil solvent extraction plant with ISO,BV,CE,Shandong Leader Machinery Co.,Ltd. can meet your diShea Butter Oil Plant Equipmenterent requirement in Shea Butter Oil Plant Equipment.Welcome to contact Shandong Leader Machinery Co.,Ltd.,contact name:Ms.Myra for a quotation(Tel/whatsapp:0086 18363092712, Email:sales2@ldfoodmachine.com,Skype:leaderfoodmachine2). Welcome to send us your enquiry about capacity for High quality rice bran oil solvent extraction plant with ISO,BV,CE and raw material you want to use for High quality rice bran oil solvent extraction plant with ISO,BV,CE,and specific requirements for High quality rice bran oil solvent extraction plant with ISO,BV,CE.We will provide you best solution for your project about Shea Butter Oil Plant Equipment.